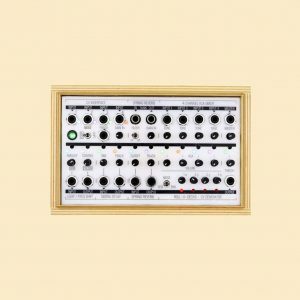 In recent years, Eastern Europe has become something of a hub for experimental audio hardware, and Erica Synths is one of the small manufacturers in the region rapidly making a name for itself. Based near the Baltic coast in Riga, Latvia, the company has been building a growing library of Eurorack modules, manifesting a wide range of audio technologies—covering ground from vacuum tubes to DSP, and much of what’s in between. 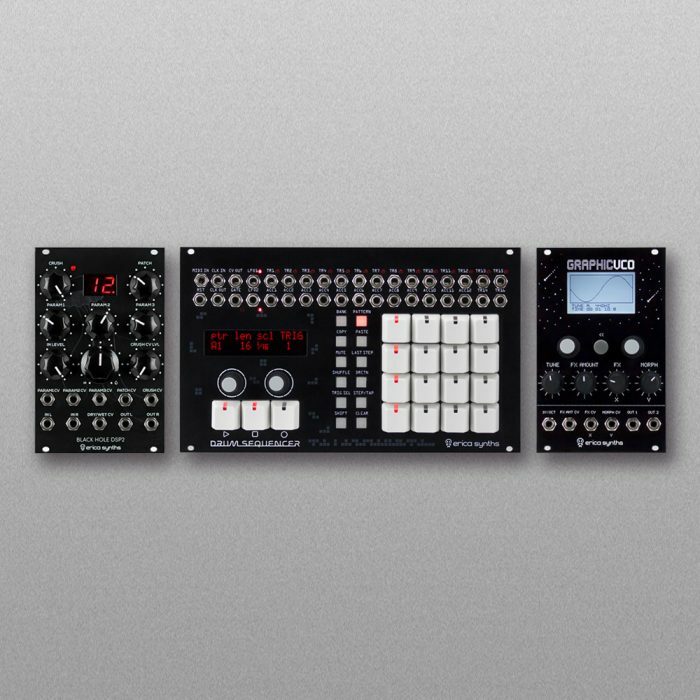 The company’s latest creation, dubbed the Graphic VCO, is a 16 HP digital wavetable oscillator that lets users explore the morphing, craggy landscapes of wavetable synthesis via its onboard black-and-white screen. This screen also allows users to draw and arrange waveforms into wavetables and banks, and visualizes the resulting audio in real time. There are a number of internal or CV-controllable effects built in as well, including FM, phase distortion, ring modulation, wavefolding, and bitcrush. The resultant sound can move from clean and precise to harsh and aggressive with ease, with modulation that can be controlled internally or via external CV signals. 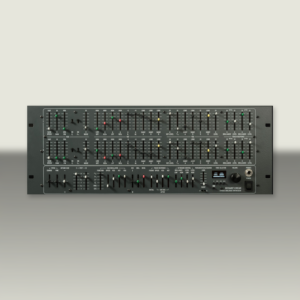 Selectable from its main screen, the Graphic VCO has three main modes: A/B Wave, Wavetable, and Matrix. A/B Wave lets users morph between two waveforms, which can either be loaded into each slot, or drawn with a pair of encoders (think: Etch-a-Sketch). Wavetable mode loads 16 waveforms into a table, while Matrix mode lays out the wavetables into a grid, each of which can be swept through using the morph knob. There’s a great spectral mode, whereby users can scroll through the harmonics, highlighting specific ones and adding complexity. Custom-drawn waveforms and settings can all be saved and named using a snapshot system, by holding down the back button for two seconds (settings can also be randomized). Additionally, things like onboard scale quantization and morphing behavior can be customized in the settings menu. There’s even a secondary, configurable sub-oscillator output, which can be configured individually and tuned down to -24 semitones (with detuning of +/- 50 cents). Erica has carved out its own niche with the Graphic VCO, and the front panel’s pixelated aesthetic effectively reinforces its sonic character. The ability to draw and then effortlessly jump between different custom digital waveforms in this way feels unique on the Eurorack stage, and allows for a wide range of tones and transitions between them. With DSP effects modules becoming more and more common in racks, Erica has re-entered the fray with its Black Hole DSP 2. 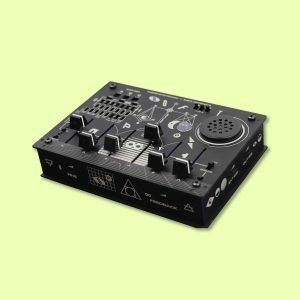 The 16HP module features 24 custom effects, each of which gets three manual and CV-controlled parameters, specific to the effects mode it’s currently in. The range of DSP effects includes nine delays (including dual, granular, and lowpass options, among others), along with various reverb, chorus, flanger, phaser, pitch shifter, and high/lowpass “freeze” modes. All of the DSP 2’s effect parameter settings can be saved to the module’s memory and instantly recalled, something that’s particularly useful for live performance. The DSP 2 has stereo ins and outs, and CV inputs are also available for controlling effect selection, the DSP CPU clock rate, and an analog Dry/Wet parameter. For those with a fondness for manual drum programming and 42 HP in their rack to spare, Erica’s Drum Sequencer is a drum beast that’s tough to beat. 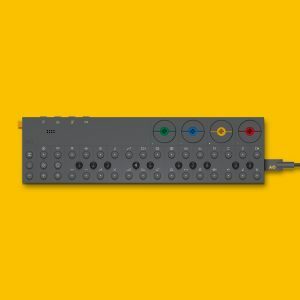 Using mechanical keyboard-style keys and an X0X-style interface, it’s a performance-oriented sequencer module that provides a whopping 16 trigger outs, 12 accent outs, CV and gate tracks (with scales), and two (attenuated) LFOs which can be synced to BPM. It’s deeply, intricately programmable, with time signature, direction, length, shuffle, probability, time shift and retrigger available on a per track/pattern basis. Subtle Tetris vibes really tie the room together.